Stay connected overseas for as low as PHP180 per day with Flytpack! With destination research, bookings and socialization done online, the internet has become essential to independent travel that more and more people need to always stay connected on the go. As a travel journalist and blogger, staying online while in transit is part of the job, and can be cumbersome at times when one has to rely on spotty wifi signals, switch local SIM cards for every country I visit, or worry about exorbitant charges when availing of roaming services from yay mobile service provider. As I’ve personally experienced on a recent trip to Singapore and Malaysia, Flytpack pocket wifi rental makes it very easy and more affordable to stay always online anytime, anywhere while traveling overseas from the Philippines – starting at only PHP 180 per day! Flytpack is easy to use. Before my trip, I booked my Flytpack wifi router online and picked up the device at Flytpack’s main office at Bonifacio Global City (Of course, the company may also deliver the router via courier service upon advanced notice). Upon arriving at Changi International Airport in Singapore, I simply turned on the device and it automatically connected to the 4G network of the local telco provider. After keying in the password printed on the back of the router, my smartphone and laptop linked up to the network in a flash. It was so quick and easy to connect! No need for time-consuming wifi registrations or fumbling with SIM cards. The size of a large smartphone or phablet, Flytpack pocket wifi was easy to carry to around in my backpack, staying on the entire day before getting completely discharged. Flytpack is fast and reliable. Flytpack partners with reliable telcos across 47 countries to deliver fast, reliable and consistent 3G and 4G connectivity when you travel. Even online activities that require considerable bandwidth went smoothly, such as watching videos, streaming live video feeds on Facebook, and posting video stories on Instagram. While traveling on a cruise ship from Singapore to Malaysia, I was able to enjoy high-speed internet most of the time. What’s more, I was able to share my connection with my friends as the router can accommodate up to five devices! Say goodbye to expensive roaming charges when you use Flytpack. Daily rates range from PHP 180 to 350 for Asian countries, and PHP 550 per day for USA, Canada and Europe. The service also offers cross-country packages at PHP 300 per day for coverage in Asia, and PHP 550 per day for worldwide coverage. That’s a deal when compared to local telcos that offer a flat rate for roaming services on your smartphone at PHP 550 to 599 per day. You don’t have to overspend to stay connected overseas. 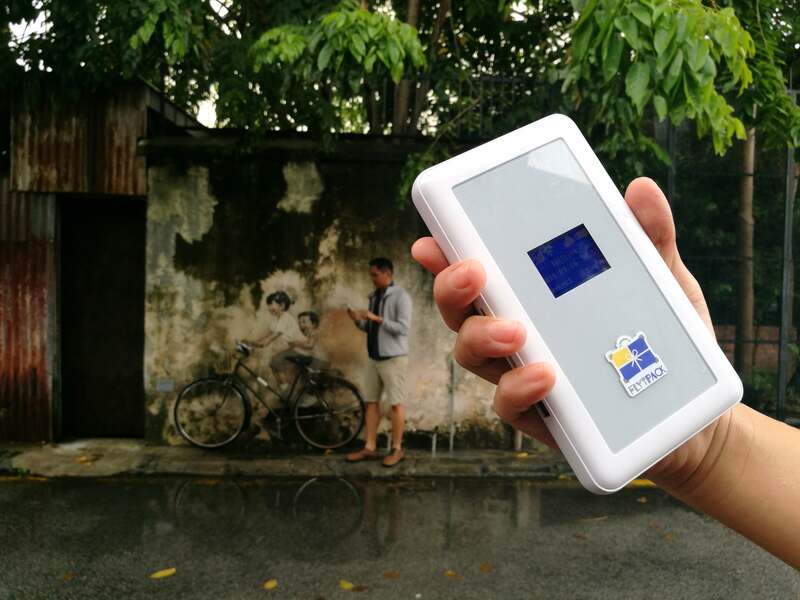 Rent a Flytpack pocket wifi router for your next trip!